The product and pricing data contained in your Portal catalog can be integrated into D-Tools SI 2016 or newer. 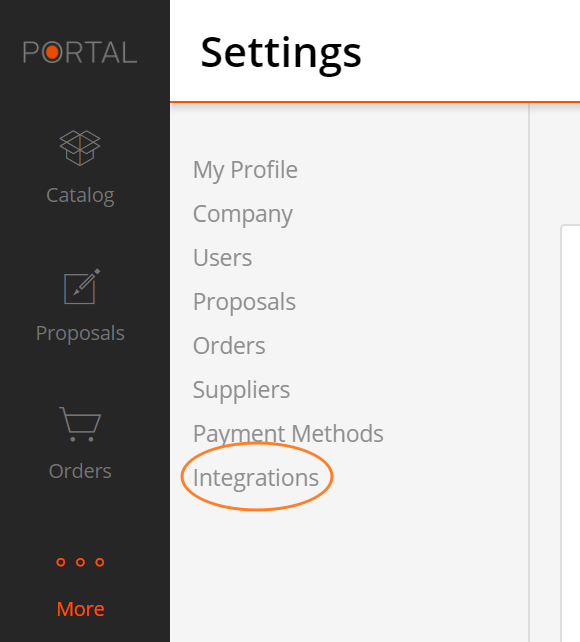 First, navigate to the Integrations section of your Settings page. 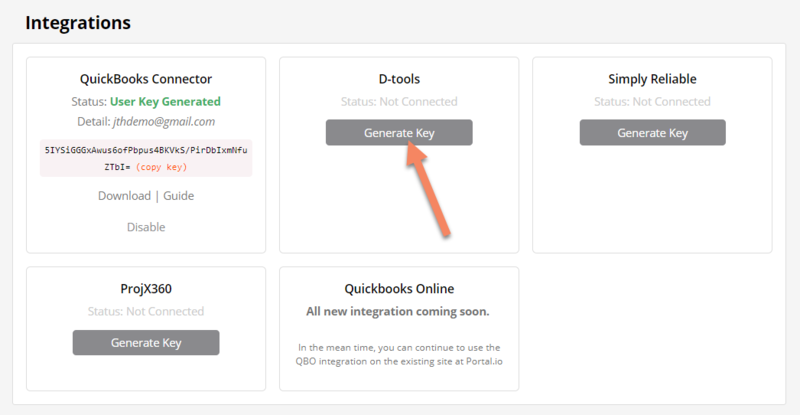 Within the Integrations section, you'll see selections to generate and copy API keys for each software partner. Select Generate to get a unique API key and use it in the D-Tools program/flyer/promotion..
For more information on our integration with D-Tools, here is a short video.